Well, we can’t say we weren’t surprised when we were told that we SOLD OUT of the first issue of untethered on the night of its launch! 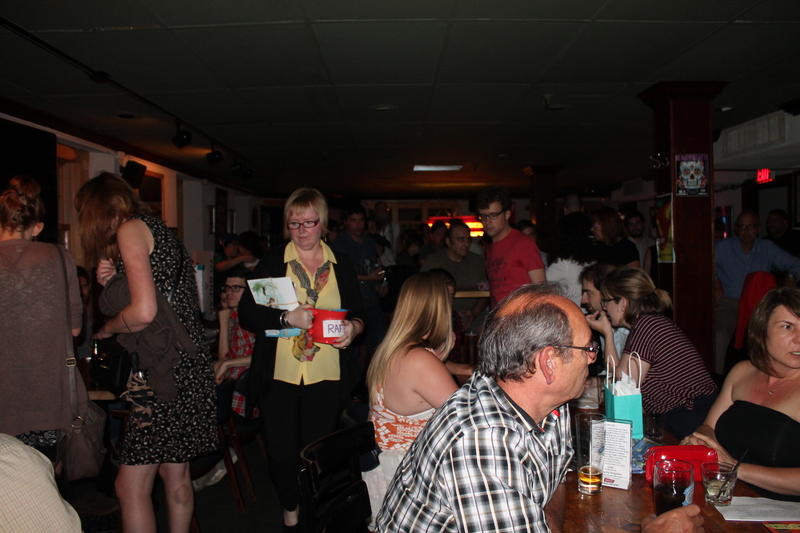 We are still in shock and awe at all of the outstanding support we received from all who attended. It was a surreal night and we’re having a hard time believing it wasn’t a dream. 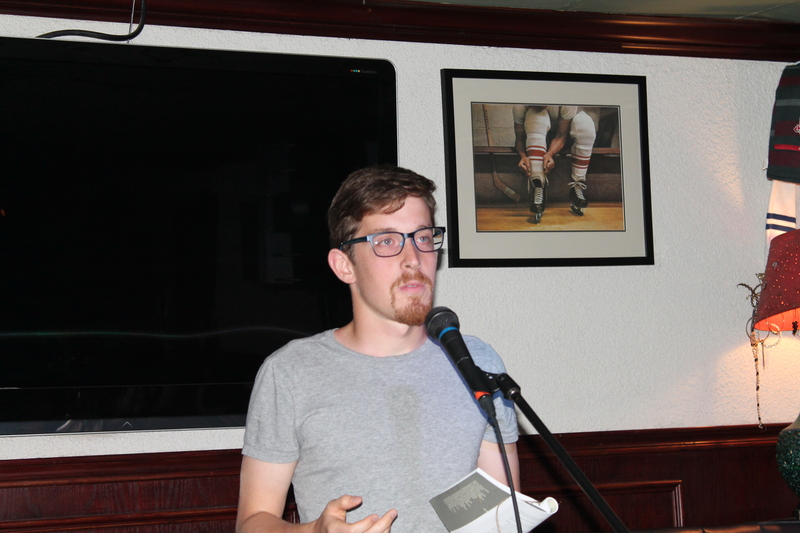 We want to send out a huge THANK YOU to all of our amazing readers, all of our contributors who attended and our super talented featured artist who came out all the way from BC to attend the launch. To our donors who attended and all who donated at the launch – thank you! Thank you to our AMAZING volunteers who handled the untethered table, Andrew Thomas and Monica Sass, and thank you to our fantabulous photographer for the evening, Tamara Gell. Check out photos from the night below! Editor-in-chief of Descant, Karen Mulhallen, opens the night for us (check out their blog post about the evening). 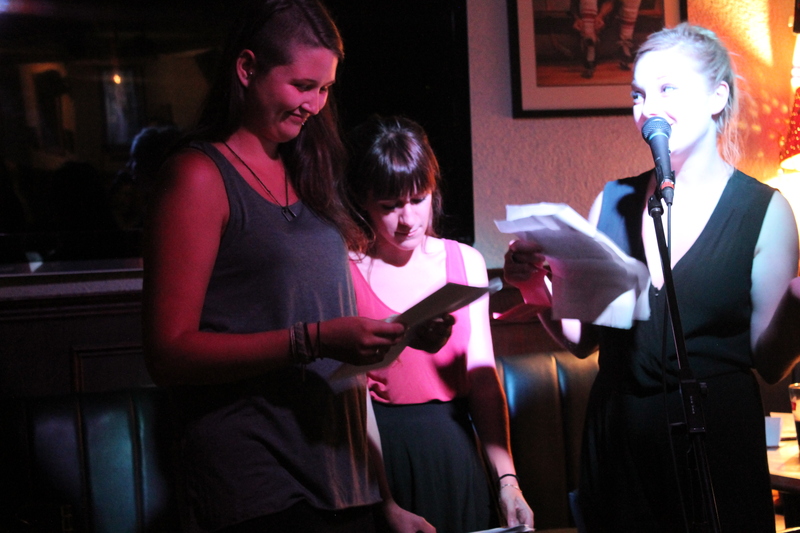 The three of us nervously start the evening (from left, Stephanie McKechnie, Nicole Haldoupis, Sophie McCreesh). Fairy Gawdmother Lesley Kenny starts off with the first raffle prize giveaway. 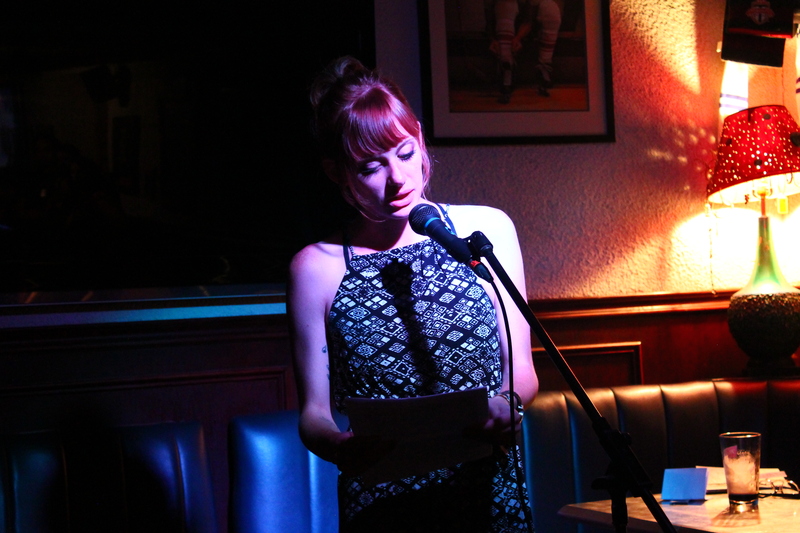 Ailsa Bristow reads from her piece, “The Fishcotheque”. 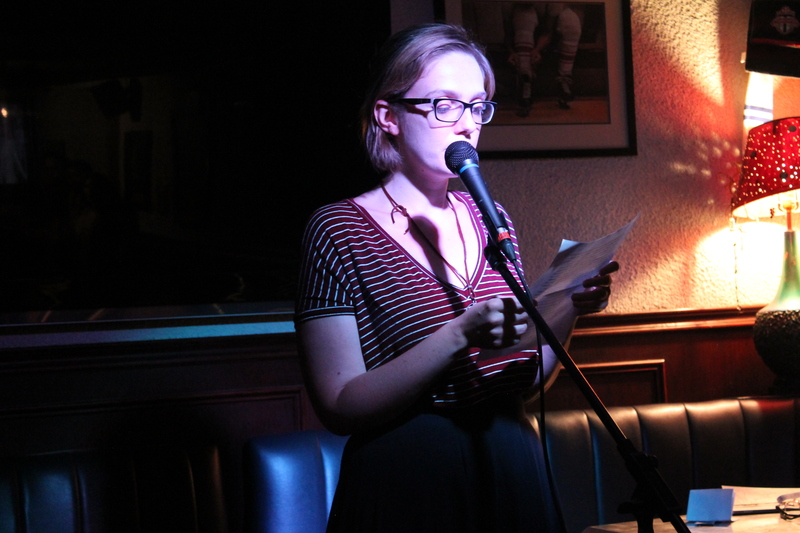 Sara Flemington reads her poetry from the issue and some new stuff that blows minds. 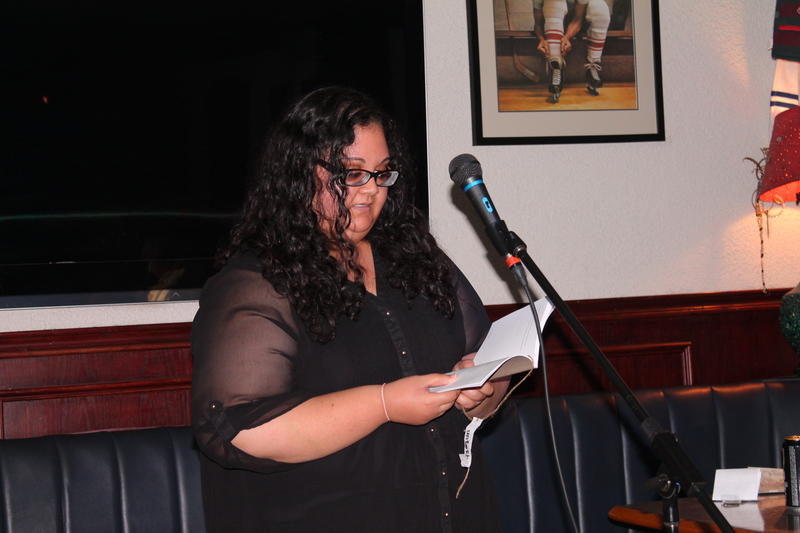 Ekraz Singh reads her poetry from the first issue, straight out of the new book! 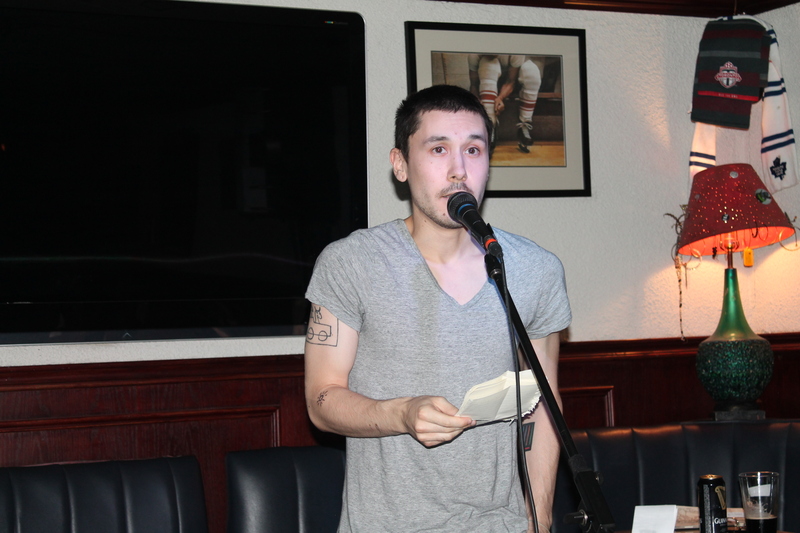 Justin Lauzon charms the crowd with his story from the issue, “The Woman’s Notebook”. Mark Jordan Manner reads a new story that uses the word “poop” a lot, which makes people laugh. 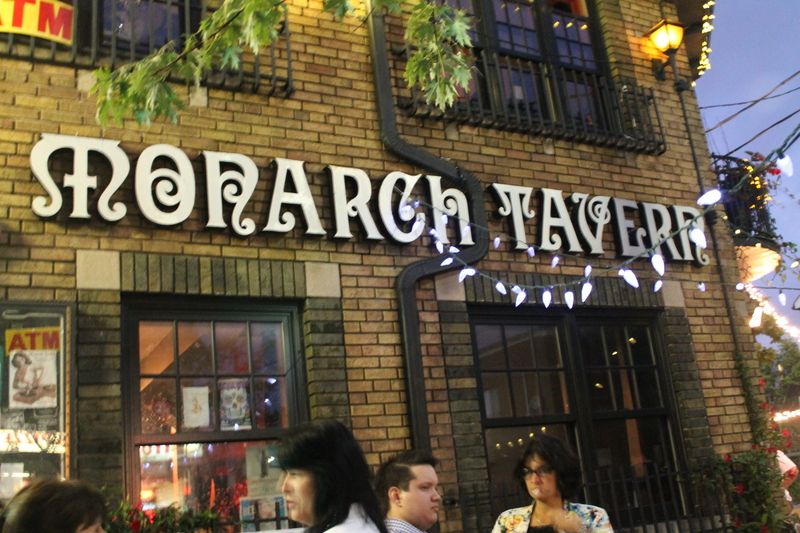 Break time at the beautiful Monarch Tavern. 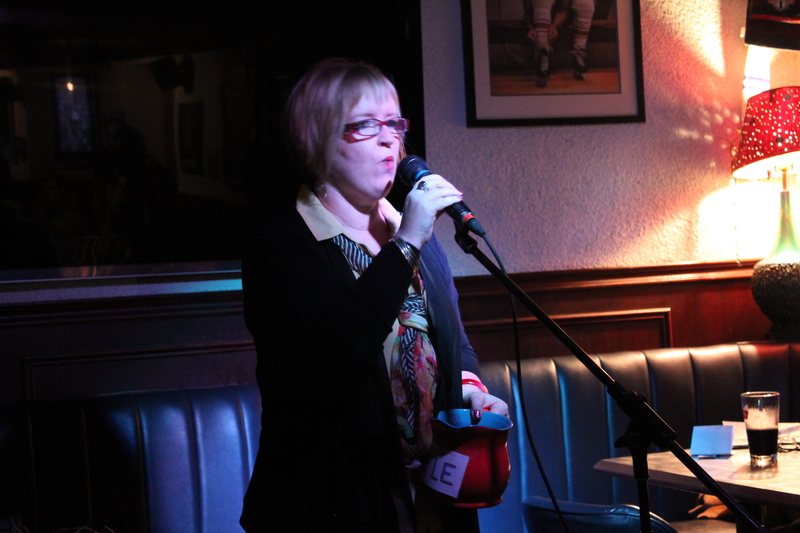 Our fairy gawdmother entices people into filling the raffle jug. 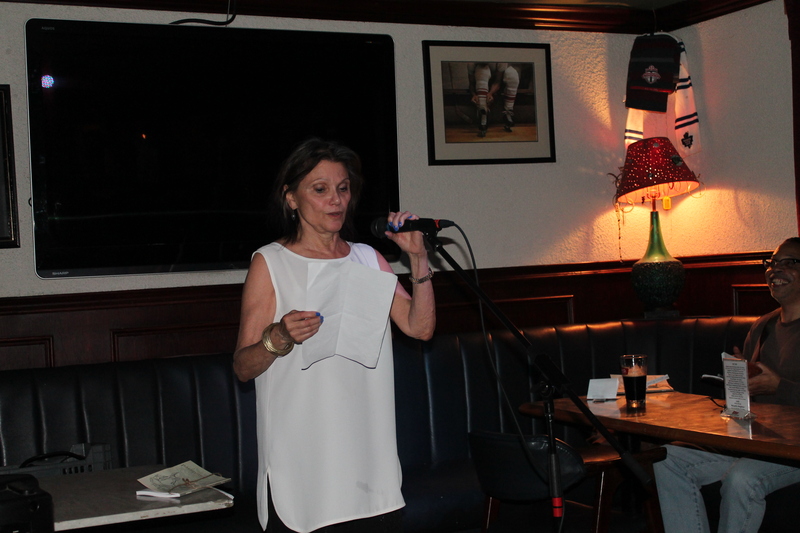 Diana Manole reads a poem from the issue, first in English, and then in Romanian, throwing the crowd into a trance. Jack Hostrawser provides the crowd with a meditation on Grand Theft Auto and the art of living the thug life. 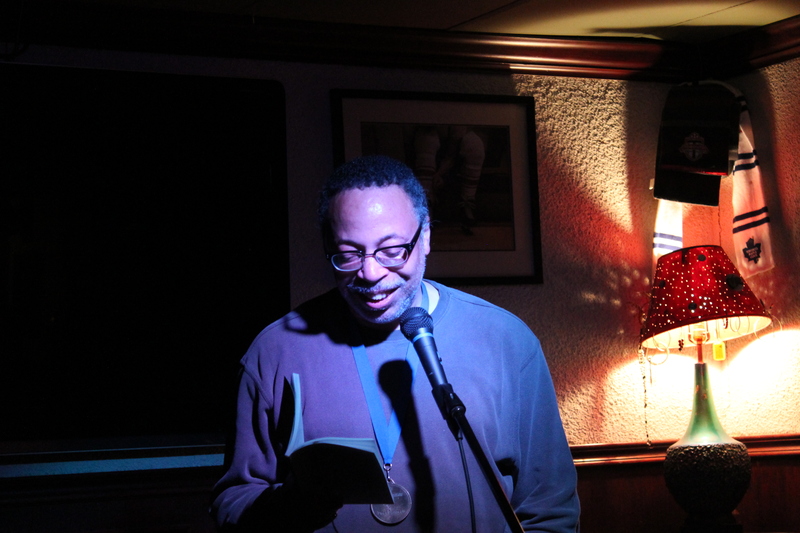 Toronto’s Poet Laureate George Elliott Clarke charms and hypnotizes the crowd with poetry from the issue, which will soon be published in a new book, as well as a piece from his newly published book, Traverse. A little bit more liquor in us, we happily hand out closing sentiments to our amazing crowd and say our thank yous to our mommys and daddys. 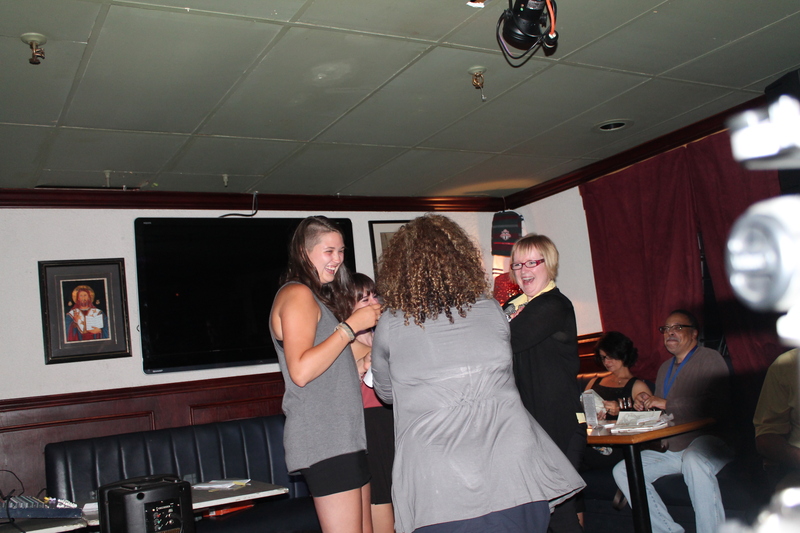 An untethered mother, Joanne Haldoupis, winning a prize pack from the raffle. All photos courtesy of Tamara Gell. It was such a great night. The place was packed, all the readers were so good, and only one person turned me down when approached to buy a raffle ticket. But I know his name and will find him at the next launch. Looking forward to it already! (The next launch that is, not harassing that guy). Everyone I spoke to was so impressed with the evening. Congratulations untethered and welcome to the Canadian Literary scene. It was such a great evening! 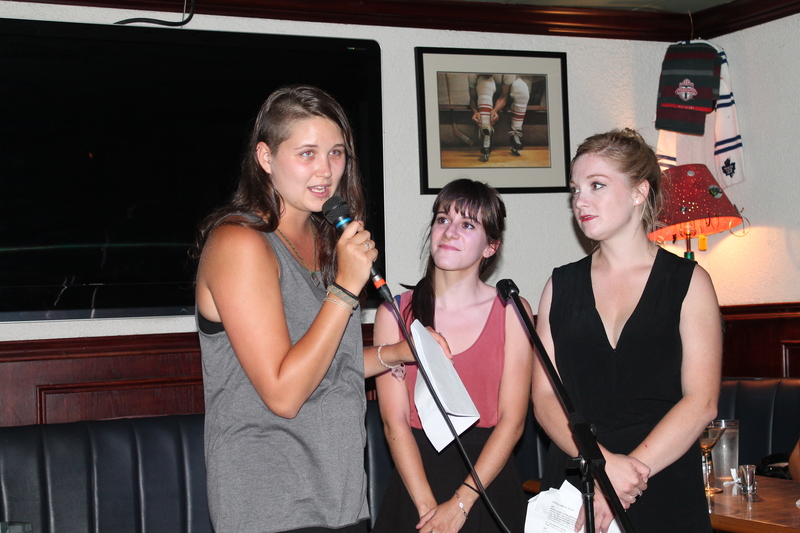 The three girls did a fabulous job organizing and putting together a fabulous magazine (book). A job well done ladies. 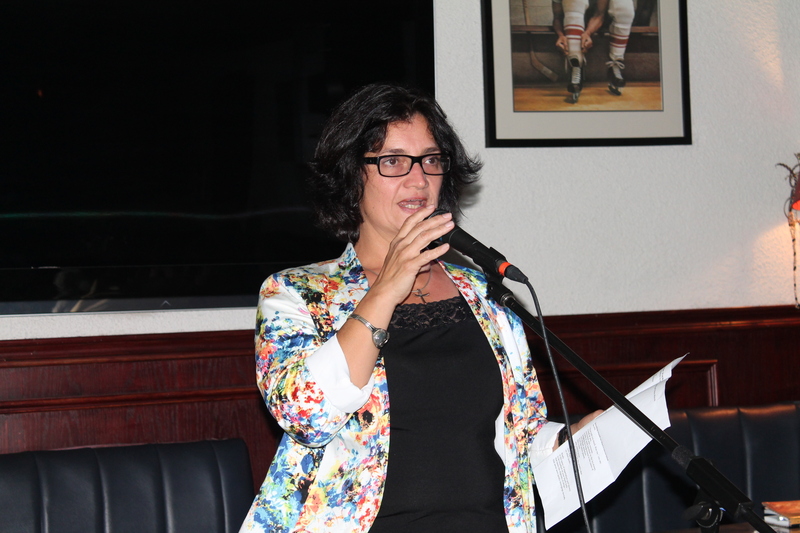 It was a wonderful evening filled with amazing literary talent! Steph, Sophie and Nicole, you ladies did a great job!